One of the worst feelings is finding out a new game you’re excited to play can’t run on your old PC. The most immediate solution would be to purchase an upgrade to your hardware, but when budget is a concern, you can use these tips to get the very most out of an old machine on its last legs. Before we get started, it’s very important that you taper your expectations a little bit. There’s no hack that will let you smoothly play high end games on a low end PC, so you’ll have to make some sacrifice as far as performance goes. Your search for the holy grail of optimization hacks online is most likely going to be fruitless if you expect an old PC to play modern games at 60 frames per second on high graphics settings. However, if you crank down the settings to the very lowest possible and use the tips in this guide, you may be able to squeeze some extra frames out of the game you are playing. To start with, turn down your in-game settings. It may not exactly look pretty, but choosing ‘very low’ on everything in the settings menu and turning off any extra effects is a great start point. Want even more frames? Consider lowering your resolution. If your graphics card is too old, this can be a great way to improve performance. Fewer pixels will mean less strain on your graphics card. Although, the downside is it may mean more strain on your eyes. In recent years, many premium game streaming platforms have cropped up. These platforms let you stream from a high end PC in the cloud. Essentially, you get the performance and functionality of a real PC beamed directly to your computer. If you have a high speed internet connection and the budget to pay for a subscription, I’d highly recommend this option to you. With a low speed internet connection, you’ll notice screen tearing, input lag and other problems. You’ll need to pay a fee to get access to your own virtual computer. As of writing, there are two leading companies in this space – Shadow and LiquidSky. LiquidSky offers three pricing tiers that charge you either a one-time payment or a monthly fee. For the $14.99 beginner package, you get 25 hours of one-time access and 200GB of storage on your own virtual machine. The $29.99/month Prestige subscription gets you 100 hours of gameplay each month and 500GB of storage. There’s also a annual payment that works out at $24.99 per month and you get 1440 hours in the year and 750GB of storage. Shadow offers a $35/month subscription and with that you essentially get unlimited access to your own virtual PC with super high end hardware. Both options work well for when you want to play high end games, but they aren’t without their issues. Game streaming is still a new technology and it’s not perfect. Expect the occasional input delay and screen tearing, even if you do have a high speed (15mbps+) internet connection. Also, a year’s worth of subscription on either platform would be enough to buy a decent second hand graphics card or processor for your own PC. If you want to stay on your old PC and don’t want to pay for a subscription, there are still some methods you can use to improve your performance. One such method involves limiting the background apps that run when you play games. 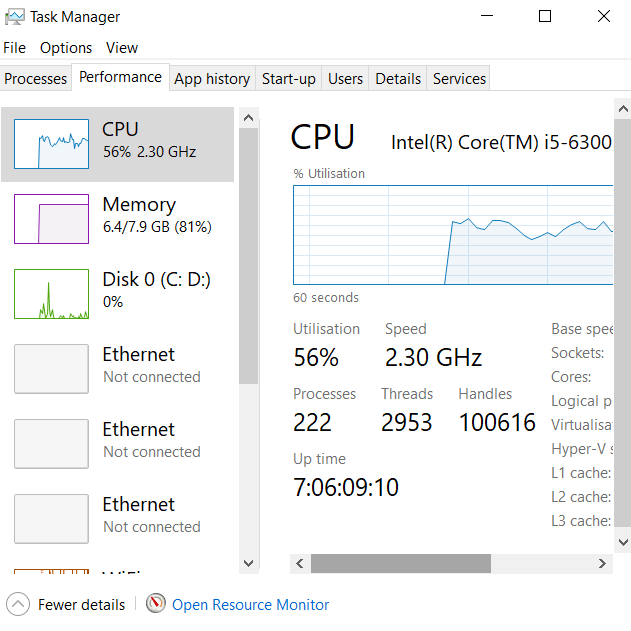 Open up task manager before you boot up a game and force close everything you don’t need. This can include Google Chrome, Skype, Discord, or any other apps running silently in the background. Each of these programs will take a small amount of hard disk, RAM and CPU usage that could otherwise be dedicated to playing your video games. Razer Cortex: Game Booster is a free software from Razer that optimizes your PC for gaming. With Razer Cortex, managing your background processes will be done automatically. All you need to do is boot up Razer Cortex before playing a game and you’ll be able to automatically free up your system resources. Razer Cortex: Game Booster also optimizes your CPU by ensuring it runs at max performance. Don’t expect any miracles by using Razer Cortex: Game Booster but it is still a tool that automatically micromanages the advice we gave in the last step. 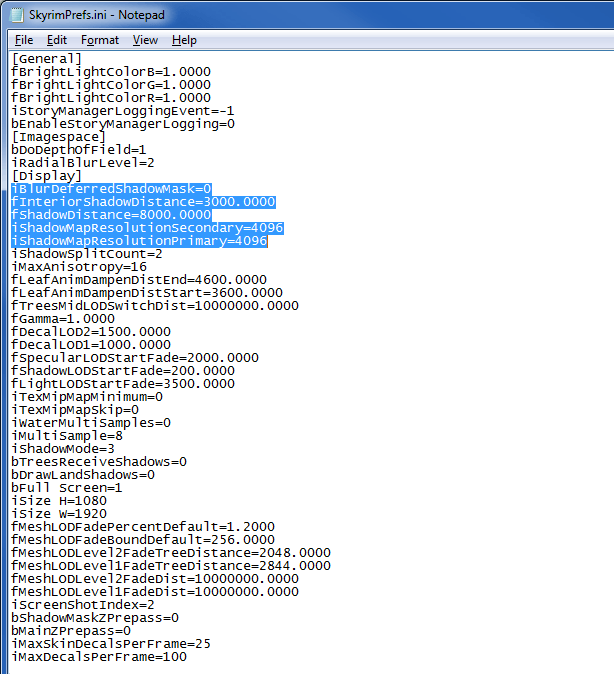 Some games have settings files that you can edit to reduce the graphics quality even further. For example, you may be able to turn off shadows completely or reduce the texture quality. This can make your game look terrible in many cases, and there may be some graphical issues, but it can be an excellent way to get more frames in high end games. You can simply search ‘example game settings tweak’ on Google to find if there are any such resources out there. Not all games will have graphics tweaks like this and some developers will actively discourage you from using these, especially if it is a multiplayer game. It’s important that you carefully read through any information other players or the developers have given about using such tweaks before using them for yourself. Another possible avenue to take is to overclock your graphics card or processor. Overclocking super-charges your hardware by increasing the clock speed to higher levels. This will increase the temperature of your hardware, so you’ll need to ensure your cooling is adequate. You must always be careful when overclocking. We wrote a full guide to overclocking your Graphics card safely here. That brings us to an end. We hope that the tips in this article will help you to get better performance in your favorite games. Everybody’s situation is different, so some of these tips may work better on your machine than others. If you need any more specific advice about your particular system, please leave a comment and I will be happy to help.